Just thinking of Tenerife conjures up a wonderfully warm, sunny feeling of holiday contentment. 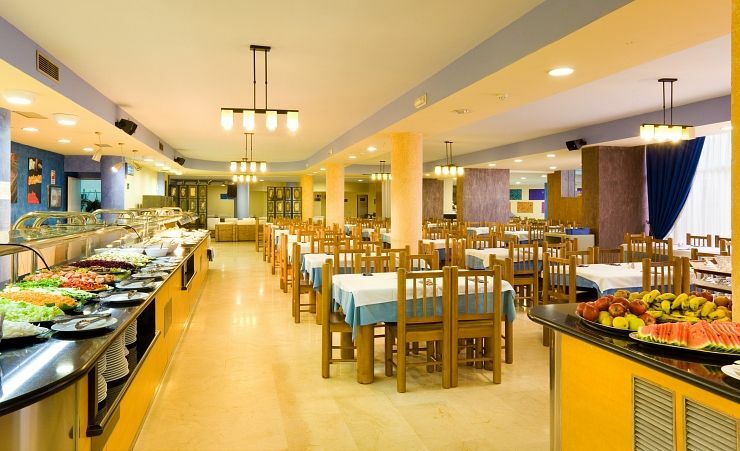 You'll need a place to stay that's just right and the Hotel Villa de Adeje Beach is perfectly placed, close to the gorgeous beach at Torviscas, and just 500 metres from the Puerto Colon Marina. 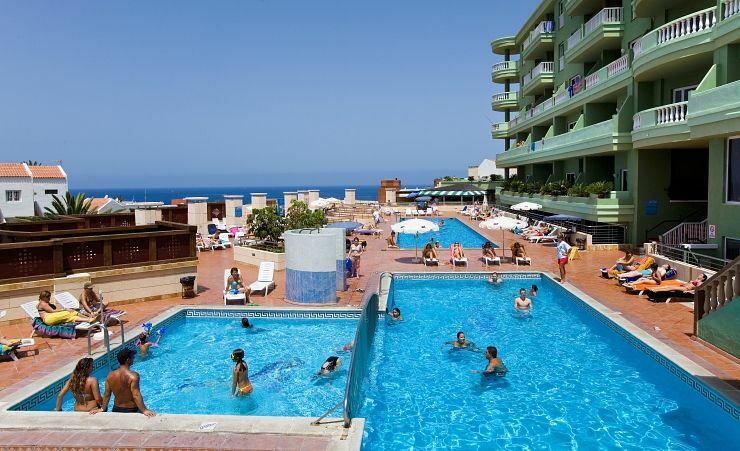 This is a holiday location with everything on hand - the shops, the attractions, the sun and the sand. 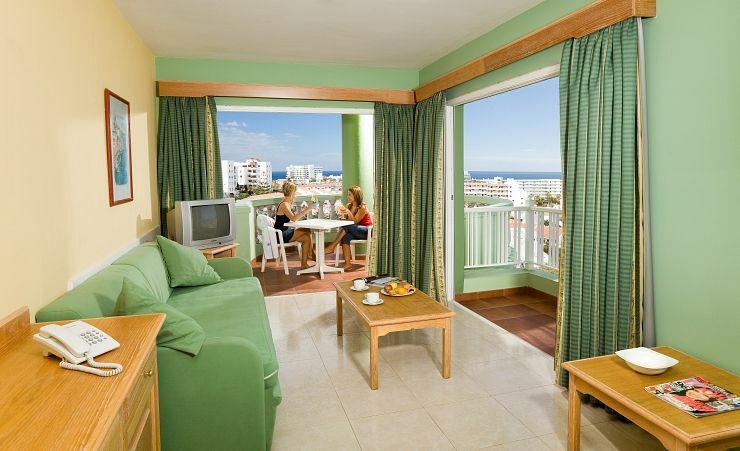 With a smart en-suite bathroom, a fully furnished balcony, and a kitchenette - with hob, fridge and kettle (at a fee)- your apartment at the Hotel Villa de Adeje Beach will soon feel like home. You'll have all those other little essentials too including a telephone while satellite TV, hairdryer, safe and Wi-Fi are available for a small fee. 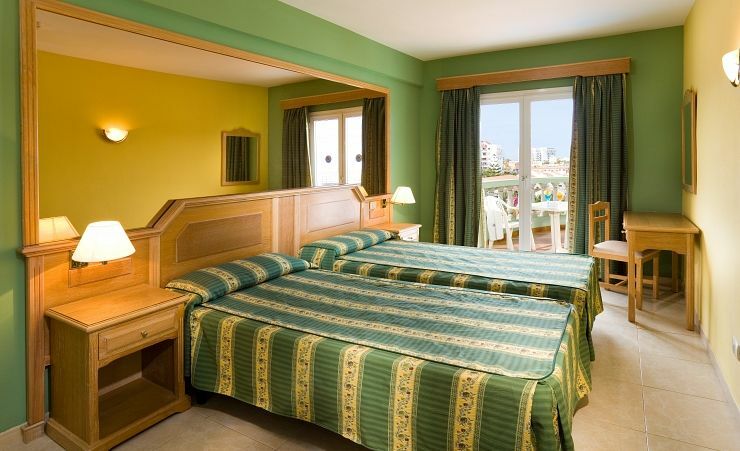 Rooms are air-conditioned (cool in summer, heated in winter) with a 30EUR deposit required for the remote. One bedroom apartments with the separate living area are also available at a supplement. 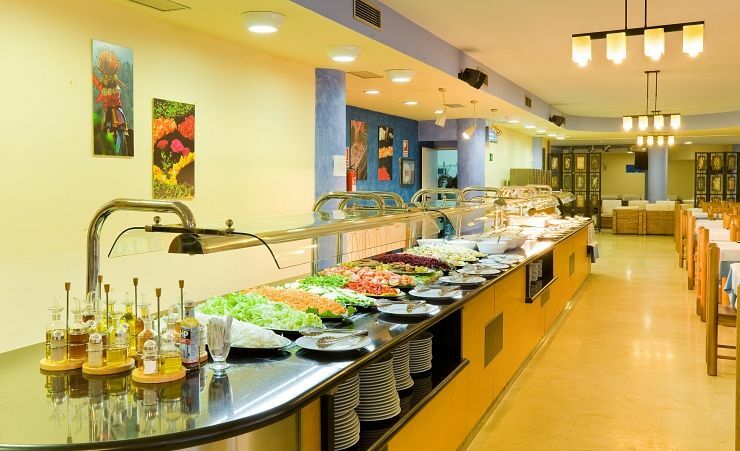 The all-inclusive package comes with breakfast, lunch and dinner - as well as snacks, ice cream and local drinks all included. 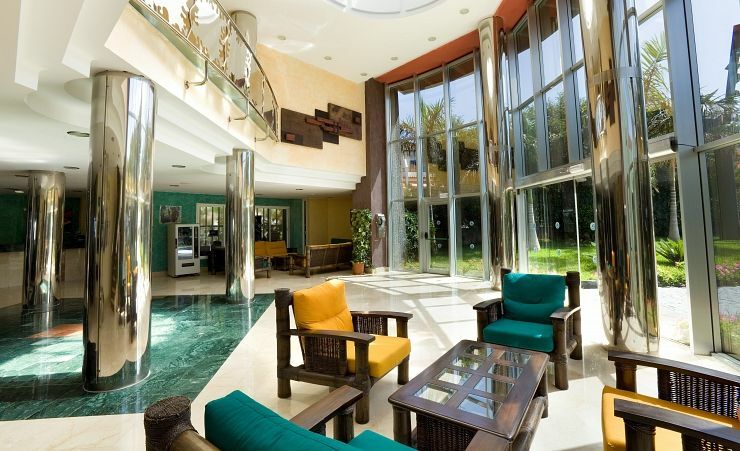 There's all sorts of fun included at the Hotel Villa de Adeje Beach too. There are two swimming pools to choose from - one heated - just in case, and a wide sun terrace so you can soak up the sun, pre or post-dip. The pool bar is the perfect place to take a break with a cool drink. 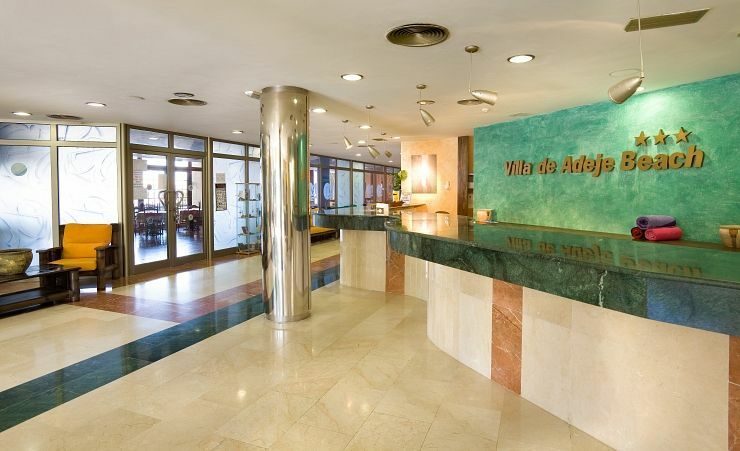 There are plenty of places to get together with friends old and new at the Hotel Villa de Adeje Beach, from the lobby bar the games room - with darts, table tennis and billiards. The hotel also puts on regular entertainment so there's always lots to look forward to. With a great range of facilities and a comfortable studio apartment, you're all set to relax. If you need any extra help taking it easy, just head for the hotel's sauna and Jacuzzi! Breakfast, lunch and dinner, snacks and ice cream. Local drinks (water, beer, wine and soft drinks in the restaurant), Time and measurement stipulations may apply. 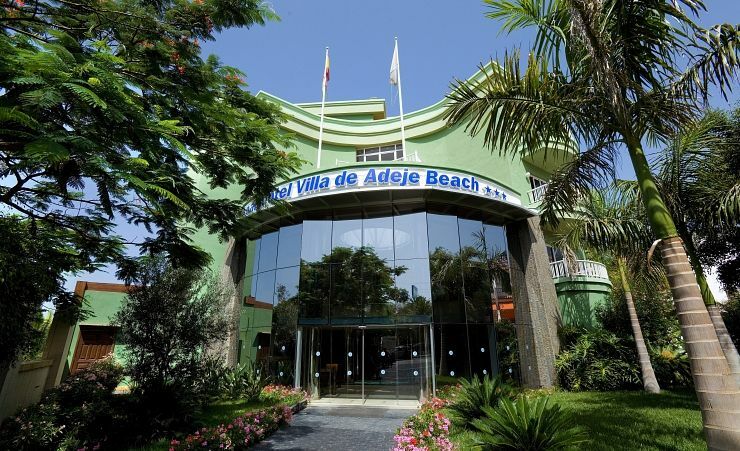 Find out more about your accommodation and the in room facilities at the Hotel Villa de Adeje Beach . 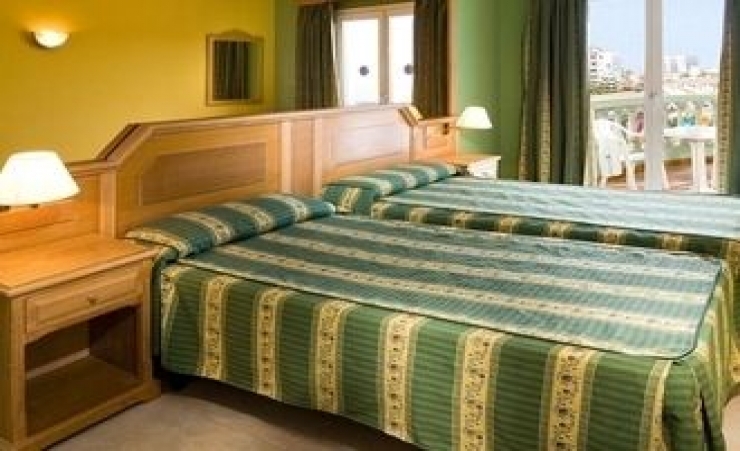 Studios with a maximum of 3 adults have a bedroom / living room, bathroom, 2 single beds bed and a furnished balcony. All one bedroom apartments, with a maximum capacity of 4 people, have separate living room, private bathroom, two single beds, sofa bed, large wardrobes and furnished balcony. Many thanks to all staff at the Hotel and Mercury Holidays staff in the UK, most helpful. Would recommend this hotel as well as Mercury Holidays. Everyone is so helpful both at home and abroad. We thoroughly enjoyed staying here and will probably book again in the near future. Thanks to everyone .